Gerber Transit 2-in-1Mulititool is one every business owner must have. It is a box cutter on one side and a pen holder on the other side, so you can cut and write on boxes all with one tool. 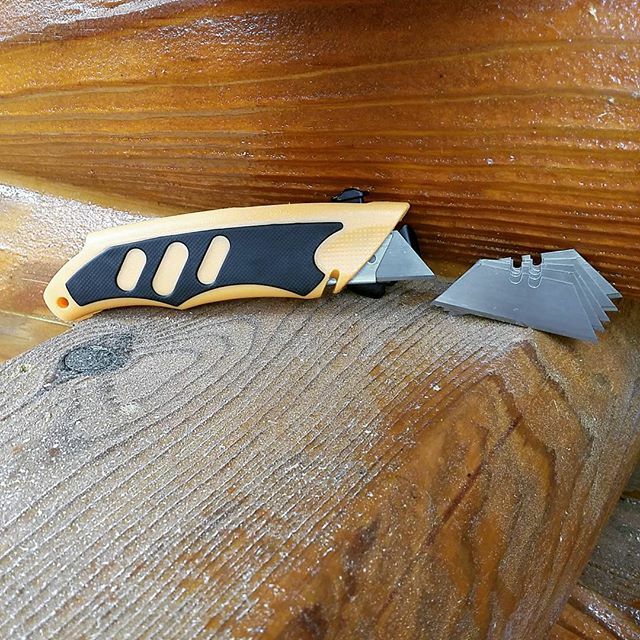 The orange utitlity handle is bright colored so you can easily find it and keep a good grip on it. This set comes with five extra cutter blades in a plastic case. 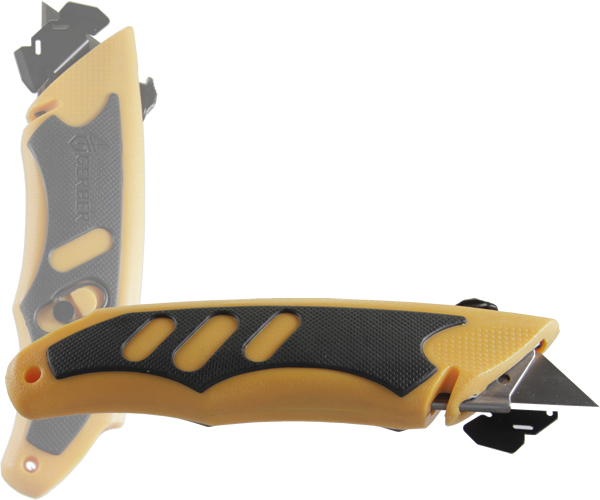 Built with an ambidextrous removable cutting shield, locking blade and textured rubber handle, the Transit 2-in-1 is an indispensable utility knife.